Under California law, several different laws exist to protect the public from dog bites and/or attacks by aggressive animals. 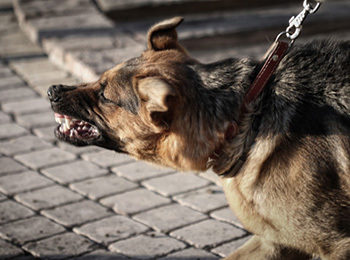 The most common basis for responsibility arises when an owner of a dog is responsible for injuries suffered by anyone who is bitten in a public place or lawfully on private property, regardless of whether the owner of the dog knew of the dog’s aggressive nature or dangerous prior behavior. Additionally, a keeper of a dog (such as a house-sitter, dog walker or kennel) can be liable for injuries suffered by a victim when the keeper knew or should have known of the animal’s dangerous propensities or the animal is of a species that is dangerous by nature. This liability extends to other aggressive behavior, such as jumping, scratching or menacing with a resulting injury. Lastly, the owner of property where a dog is housed may be liable under a theory of negligence, in laymen’s terms, carelessness. The legal responsibility can be extended to the property owner, regardless of whether the property owner had knowledge of prior aggressive behavior. This situation often arises in circumstances where a property owner, such as a landlord, allows a tenant to keep an aggressive animal on tenant’s premises with either knowledge of the aggressiveness of the animal, inadequate fencing, or knowledge of the presence of a particularly aggressive breed, such as a Pit Bull. Under most circumstances, the owner of the dog or the property will have a home owner’s insurance policy that will cover the losses suffered by a victim of a dog bite, if the basis for establishing liability/responsibility are established.